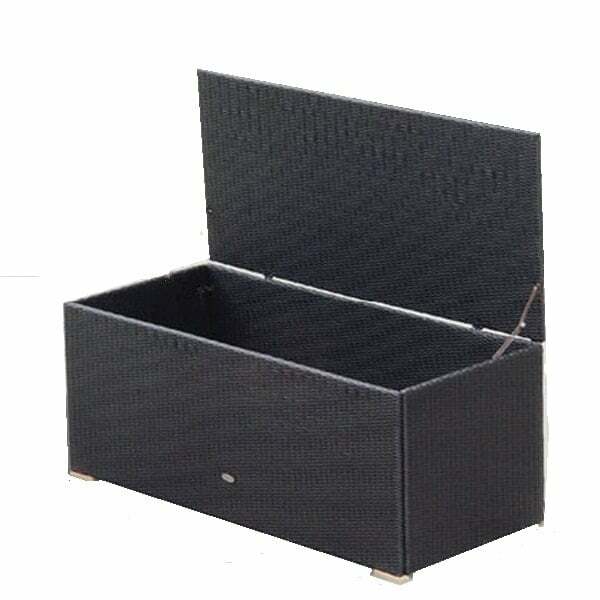 The wicker storage boxes are constructed using polyethylene resin, woven over a rust proof powder coated frame. The UV protected resin is durable and will stand up to the harshest outdoor elements. They can be used for pool supplies, patio cushions or anything else that needs to stay protected. The full weave, full profile design is made with quality and apprearance in mind. 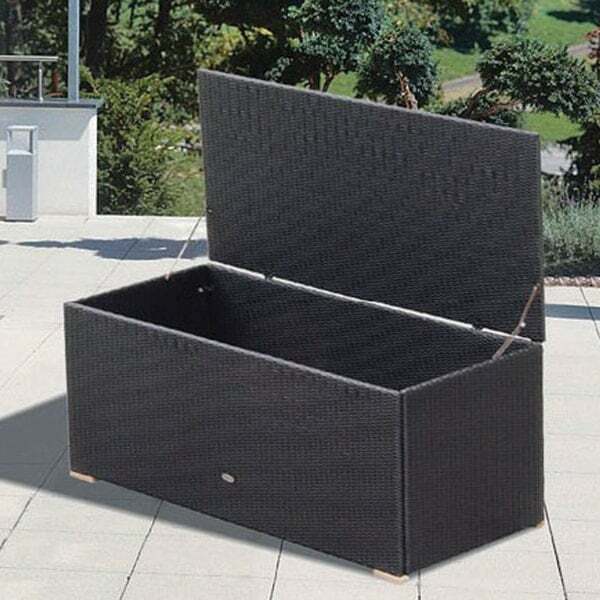 If your looking for an outdoor wicker storage area, this should be at the top of your list. Dimensions - W 29", L 58", H 27", 50 lbs.